We met Ana in our first podcast interview. I was inspired to revisit this paper today after reading a fascinating post on longecity.org by member, Lostfalco, an avid, one might venture to say extreme, proponent of self-experimenting. Here’s another very thorough post on Selfhacked.com by Joseph Cohen. And Gwern weighs in! 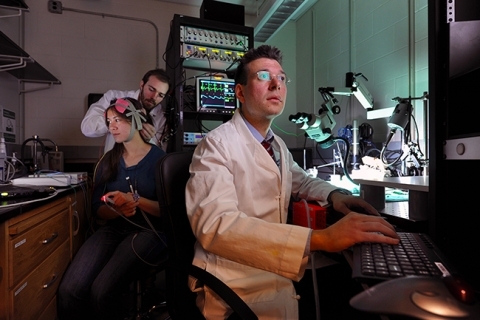 Low-level light/laser therapy (LLLT) works in an entirely different way than tDCS. Feeling like I have a lot of reading ahead of me. I will begin to share more research as it becomes available. Check out the video below for a basic understanding of the process. LLLT via commercial low-power sources (such as FDA-cleared laser diodes and LEDs) is a highly promising, affordable, non-pharmacological alternative for improving cognitive function. LLLT delivers safe doses of light energy that are sufficiently high to modulate neuronal functions, but low enough to not result in any damage. In 2002, the FDA approved LLLT for pain relief in cases of head and neck pain, arthritis and carpal tunnel syndrome. LLLT has been used non-invasively in humans after ischemic stroke to improve neurological outcome. It also led to improved recovery and reduced fatigue after exercise. One LLLT stimulation session to the forehead, as reported by Schiffer et al. (2009), produced a significant antidepressant effect in depressed patients. No adverse side effects were found either immediately or at 2 or 4 weeks after LLLT. Thus, these beneficial LLLT treatments have been found to be safe in humans. Even though LLLT has been regarded as safe and received FDA approval for pain treatment, the use of transcranial lasers for cognitive augmentation should be restricted to research until further controlled studies support this application for clinical use. via Augmentation of cognitive brain functions with transcranial lasers. In this video LLLT is described as a treatment for damaged tissue. In the paper above, the same process is used to ‘augment brain function’. Reddit user ADifferentDrum posted the results of his informal long term dual n back/tDCS training research project. Links below to full article. via My brain on electricity: A 130 day tDCS experiment. CC stands for cognitive control. In this study 28 participants took a PASAT test (try one yourself online the better you do the harder it gets). They also reported their state of mind, (PANAS) both before and after the PASAT test. 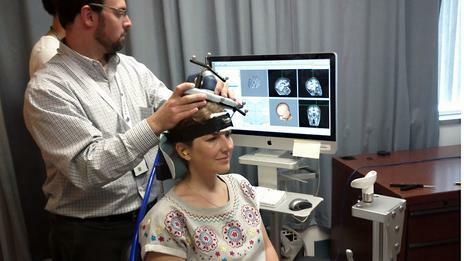 Participants who received tDCS to dlPFC (dorsalateral prefrontal cortext) showed increased cognitive control and less stress from the test itself. tDCS seems to be (they say ‘might’), allowing our focus network to overpower the feedback network thereby shutting out the negative feedback (those self-doubting voices). Since processing in the brain is highly competitive with different pathways mediating different aspects of information, the winners are those with the strongest sources of support . 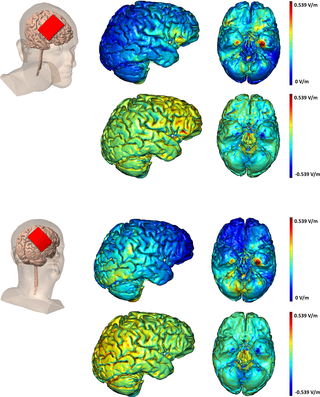 Accordingly, increased activation of the dlPFC by anodal tDCS might strengthen its function to avert attention from affective reactions induced by performance errors and thus maintain goal-directed processing. via PLOS ONE: Keep Calm and Carry On: Improved Frustration Tolerance and Processing Speed by Transcranial Direct Current Stimulation (tDCS).